How to extract text from specific pages in PDF file? Sometimes, I need to grab text from PDF so that save those information as text document. Can I extract text from specific pages in a PDF file? Do I need to install Adobe PDF if using A-PDF Text Extractor? A-PDF Text Extractor is an independent PDF manage tool for you to extract or grab text from PDF, quickly and easily, without need to use Adobe PDF tool. You can define which page should be extracted. Look at the below tutorial to learn how to extract text from specific pages in a PDF file. 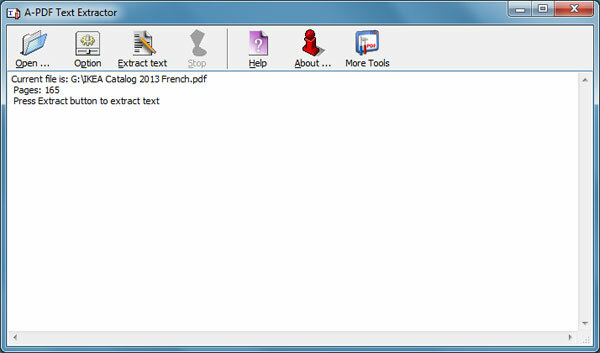 Step4: Start to extract text.